We are helping Business intelligence [BI] for application development & Reporting Solution used for analyzing and presenting the raw data into a detailed legitimate report for the enhancement of business decisions. 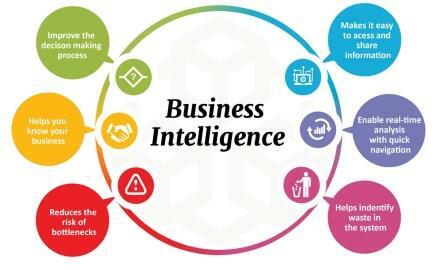 Business Intelligence (BI) is a software solution used for analyzing and presenting the raw data into a detailed legitimate report for the enhancement of business decisions. The adeptness of Enaviya is to help our clients in comprehending that the BI process works by four steps data gathering, analysis and action, measure and feedback to improve the process. BI software applications collect data from data warehouses, data marts, ERP and other sources. Vitally, BI systems are data-driven Decision Support Systems (DSS). Hadoop systems are widely used in BI architecture specifically for the unstructured or semi-structured data. Enaviya promotes BI to be used for various business drives which lacks visibility on business operations, to introduce new products, to efficiently improve their IT environment and the requirement to integrate data from different business applications. The organizations are moving towards the self- service and operational business intelligence. Advanced BI software solutions enable you to access data from the cloud based applications which can be used with ease for analyzing and reporting.